I haven't shown a Newton's Antics card in a while so I thought it would be fun to share this one today. 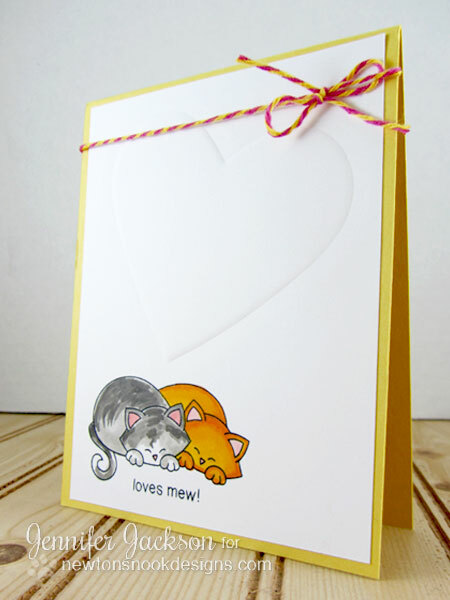 It's a little hard to see in the photo but above the kitties is a big embossed heart. It's subtle but it looks really cool in person. 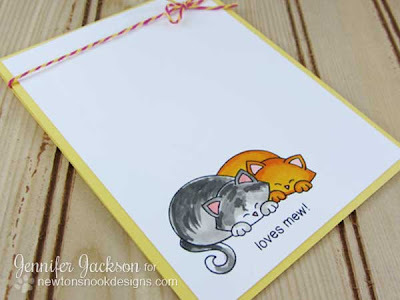 I made this card for Jeff and colored the Kitties to look like ours, Newton is the orange one and Hobbes is the gray and white one. I love how it turned out. So simple and sweet! aw!! so cute!!!! love life imitating art!! ha ha!! and what cute little feline friends!! so so so adorable!! that CAS card is just wondeful!